If you’re into game development or simply enjoy looking at pretty graphics, you’ve gotta check out the trailer and walkthrough made by Epic. Alot of games we play currently are based on the previous engine, Unreal Engine 3, so looking at Unreal Engine 4 will give us a glimpse of where the future of gaming graphics and development is heading. 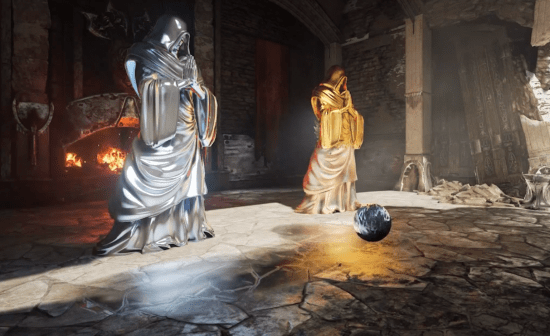 The walkthrough displayed some pretty advanced and impressive lighting and particle systems which utilized the GPU, and many visual and real-time debugging tools to make life easier for game development companies. The trailer had a short scene displaying a vast amount of effects running real-time co-currently to give us one heck of a demonstration. Thanks Epic, Now you got me itching to play Unreal Tournament 4! If you missed out on the images Epic shared previously, check them out here. Also you may want to look at what SquareEnix has been cooking up for next-gen.